Here are links to a basic description of most of the terms beginners and novices will be experiencing for the first time in their lessons. An introduction to what is fencing? from the Middle English: “Defence” or “Defense”, i.e. fencing is the art of defending oneself; a familiar theme for all martial arts(we Europeans have martial arts too, you know). Incidentally the same root as fence, as in garden fence, source of so many hilarious jokes to non-fencers, in that it means a protective barrier. Our modern sport of fencing is derived from the French school of the 18th century, as championed by such luminaries as Domenico Angelo. As a result of which there are an awful lot of anachronistic, Old-French terminologies knocking-about (which you may be atavistic enough to enjoy). But please do not be put-off, as it is possible to fence successfully with out a good pronounciation, and eventually they do make sense, as much any other set of nouns peculiar to any other sport, e.g. : service, off-side, scrum, goal, set, tee, etc..
now called the British Fencing Association. The governing body of the sport in the UK. FIE: Federation Internationale d’Escrime, the International Fencing Federation. the three fingers that help balance your weapon in your sword hand. used, for example, to give your opponent a false impression that you are about to move. in foil and sabre the priority is initially determined by the first player to attack. the body governing the masters, provosts and coaches of our sport. rapidly close in on them, a nice move. the commonest preparation, the first you learn, and always useful. the body governing the sport in the UK. randomly wave their weapons around. jacket and connects to the next wire, the spool wire, behind you. one single fight in a match. either running away or being very clever, follow at your peril. change the rhythm of an action by delaying. in fiction Cyrano De Bergerac famously used to control the cadence of his duels by reciting his poetry, changing the rhythm to his advantage. it is possible to do something similar if your opponent starts passively following your lead. an offensive action involving one or more feints. a succession of preparations executed in one, uninterupted action. nice way to convince a less experienced opponent that you are really clever and are going to win. replying to an attack made on you, by an offensive action into it. another name for a circular parry. a parry made in a circular movement of the blade tip. a riposte made after the successful parry of the intial riposte of an attack. successive counter-ripopstes are numbered as: riposte, 1st counter-riposte, 2nd counter-riposte, &c..
therefore the original attacking party always has the odd-numbered counter-ripostes assigned to him. it is worth following this later in your fencing career, when it is your turn to preside a match! an action of any sort by an attacker on his opponent’s attempt to do a stop hit. a preparation made by taking yhour opponent’s blade from high to low line (or vice versa) on the same side. when one foot passes the other during movement. score a hit with the edge of the blade. a simple attack made by passing your blade over the top of your opponent’s. another name for the lunge. a simple attack made by passing your attacking blade under your opponent’s. when by a fault two hits (one each) land, simultaneously, on each fencer. valid in epee rules, awarding a point each. finishing in the same line as the original engagement. the second of the three modern sport weapons. a point weapon with no rules of priority. an attack, not intended to hit, but to cause a reaction. an attack made without intended completetion in order to make your opponent think otherwise. the difference between this and the above is that: a feint looks very much like it will be a hit, but a false attack merely has to satisfy the criteria for making an attack: e.g., stepping forward with a straight arm. from the Middle English: “Defence” or “Defense”, i.e. fencing is the art of defending oneself. the distance at which you can just reach your opponent with a lunge. so the 18th century’s Tories and Whigs could not scrap on the way in! a name for the time taken to execute one movement. a method of delivering an attack, whereby the attacker launches themselves of the front foot, with what amounts to the first stride of a run. However, the hit must occur before the second foot touches the ground. the weakest part of the blade, nearest the tip. the first of the three, modern sport weapons. a point only weapon, with rules of priority. the strongest part of the blade, nearest the guard. the oldest form and best for learning blade control. when the target is struck with the point, with sufficent force to be considered a penetration force for that weapon. in epee, 750 gms or more. in sabre a cut is a scoring hit also. do not worry, spring settings in the scoring apparatus determine these measures for you! an imaginary line that passes through the heels pf both fencers during a fight. a basic method of delivering an attack. loop attached to the hilt to secure the weapon in your hand. this is not for you, but others: a sword spinning off through a sports hall will be very dangerous. any action made with the intention of hitting your opponent. e.g. : attack, riposte, stop hit, or a renewal of attack. the ready position before play. in the old days, the various fencing positions were called guards. resisting your opponent’s blade in engagemnet. holding and resisting your opponent’s blade whilst parrying. a shaped grip designed to give better leverage than the straight french grip. this is not designed for “punching” the hits, which is very dangerous. a deflection of an attacking blade by your own. 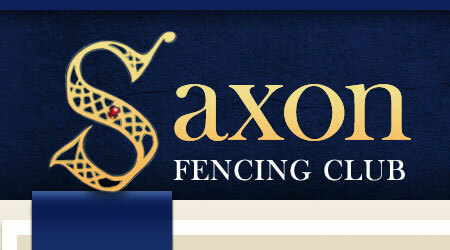 the name of the fencing equivalent of a pitch. the counter weight at the end of the sword hilt, or grip. a movement that does not itself cause a hit, but is intended to induce a reaction. generally used as a prelude to an attack. a preparation of engagement with a sharp push. this exists when a fencer has straightened their arm and is threatening the opponent’s target area. priority is lost if the blade is parried or beat out of line. only applicable to foil and sabre. an attack of more than one movement, executed in one period of fencing time. sword held by hand with the palm downwards, thumb at 9 o’clock. renewal of the attack by blade or arm movement. another name for the “President”. a renewal of attack in the same line as the previous one. a renewal of attack passing through the on guard position. offensive action after an effective parry. the third of the three modern sport weapons. an edge and point weapon with rules of priority. premeditated action made to an induced response. boy, are we fencers crafty. a parry that describes a semi-circle. an attack of only one blade movement. when the two fencers simultaneously execute an action. at foil and sabre no points are awarded. at epee a double score is valid, but a match cannot end with a draw. position of the feet when on guard. a counter-attack played into a counter-attack! sword held with the palm upwards, thumb at 2-3 o’clock. There are positive and negative health aspects to consider, as fencing is a physically demanding sport: Is fencing good for you? Read about the health aspects.